When it comes to your smile, experience counts. Whether you need complete dentures, partial dentures, replacement dentures or repair to your existing dentures, you can expect great results with Holt Dental Care. Dentures aren’t what they used to be. New advances in dentistry enable us to improve the fit, comfort and appearance of dentures. Implant-supported dentures look and feel like full dentures or partial dentures. The major difference is that they significantly reduce bone loss and provide you with more secure-fitting dentures. Partial dentures are for people missing one or more teeth. 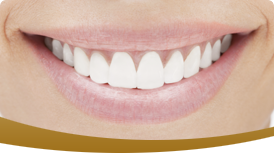 They are customized for your mouth, light weight and made from metal and gum-colored acrylic. For a natural looking smile, Dr. Holt can make partial dentures that hide the metal clasps. Some people prefer partial dentures to dental implants because they are more affordable and effective immediately. Conventional dentures are made and placed after the gum tissue has healed, while immediate dentures are placed immediately after removing all the teeth. With immediate dentures, a follow-up visit is necessary after gum tissue heals to fine-tune the fit. This adds to the stability of the denture. Call our office today to view samples of our comfortable, form fitting, natural-looking beautiful denture at 817-488-2273 for your FREE consultation.